This week's Mystery Friday Foto was another gem from the collection of Paul Osika, owner of the best vintage photo collection at Hershey. She is Virginia Fair Vanderbilt, estranged wife of William K. Vanderbilt Jr. Pending further research. Congratulations to Rutger Booy of Rotterdam, Netherlands who correctly identifed both Mrs. William K. Vanderbilt Jr. and her 1910 Detroit Electric. If you have a suggested Mystery Foto, please forward it to Howard@Kroplick.com. 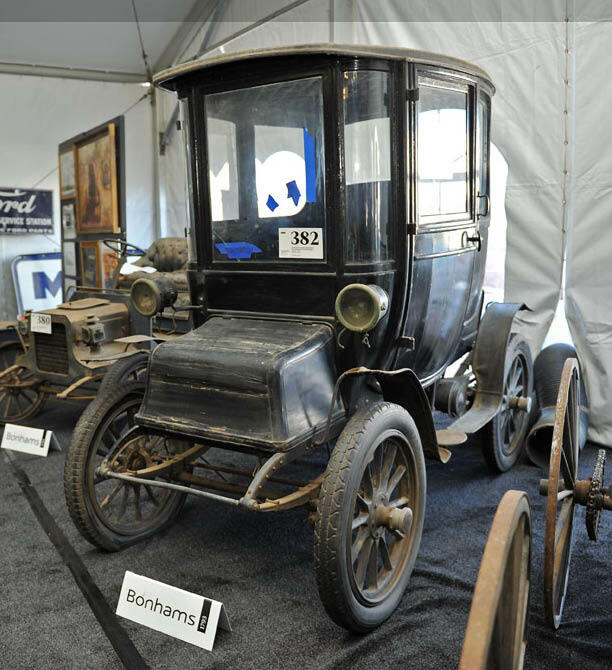 At the 2013 Bonham's Scottsdale, Arizona auctiion, a 1910 Detroit Electric Model D sold for $55,200. 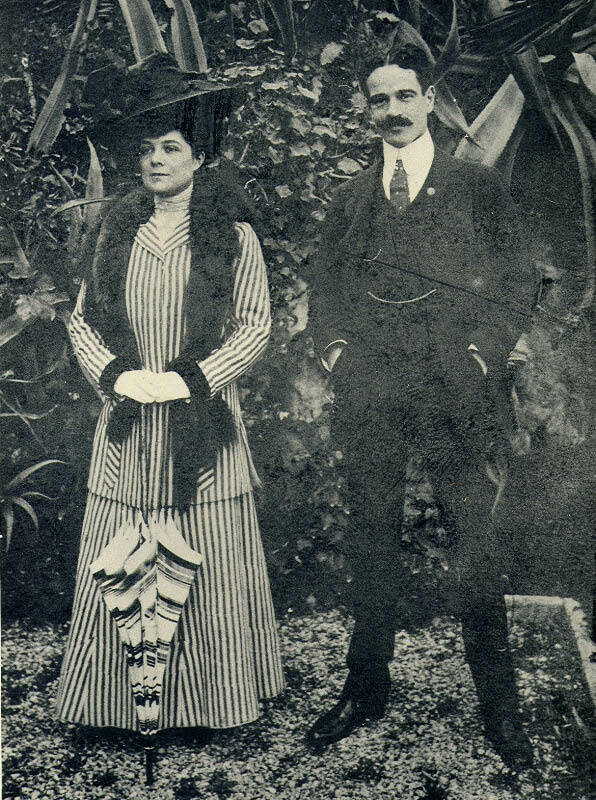 In 1899, Willie K. married Virginia "Birdie" Graham Fair, daughter of the late Senator James Graham Fair. He made a fortune mining the Comstock Load. 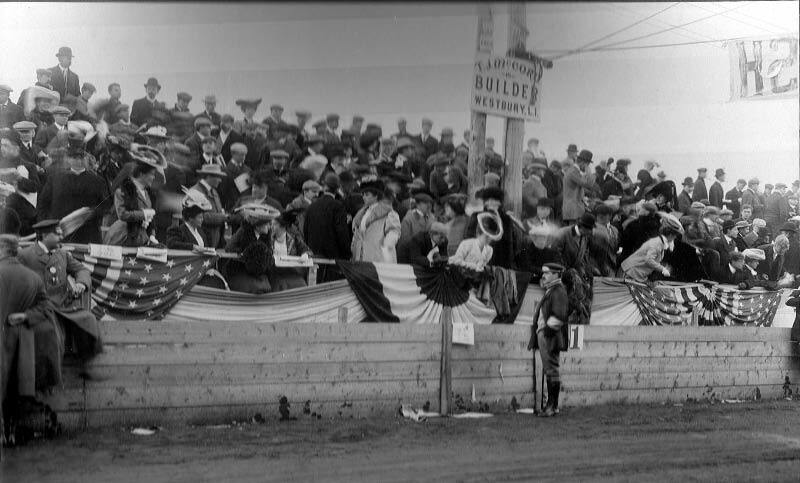 Birdie looking for a better view by standing on the grandstand railing (left). 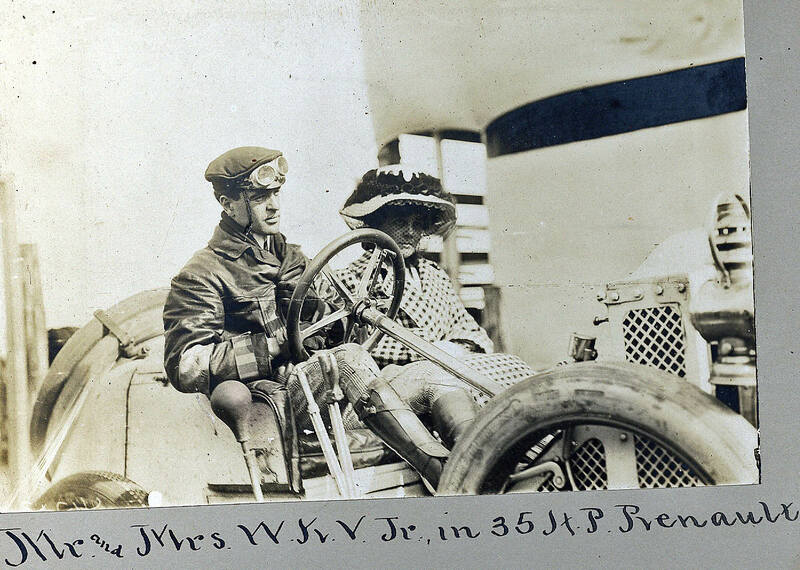 Willie K. and Birdie in their 1907 "Vanderbilt" Renault. Within one year of this photo, Birdie and Willie K. separated. 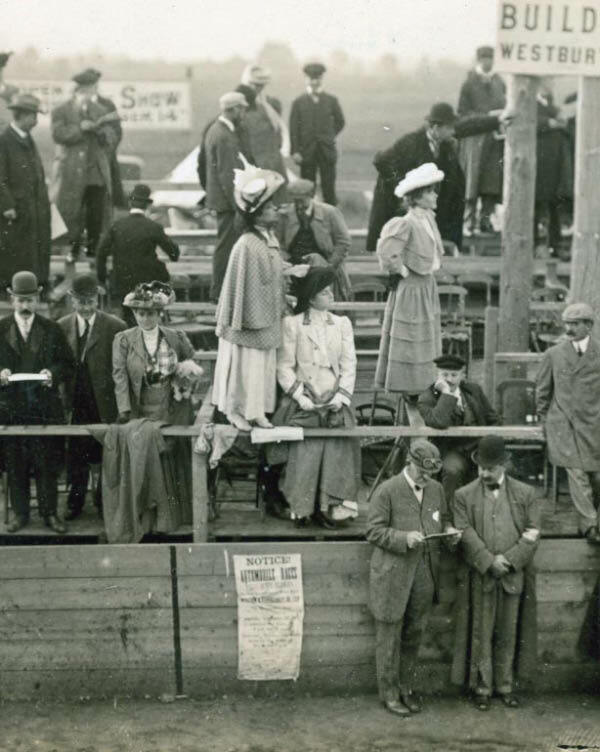 Virginia was spotted at the 1915 Vanderbilt Cup Race held in her native San Francisco. 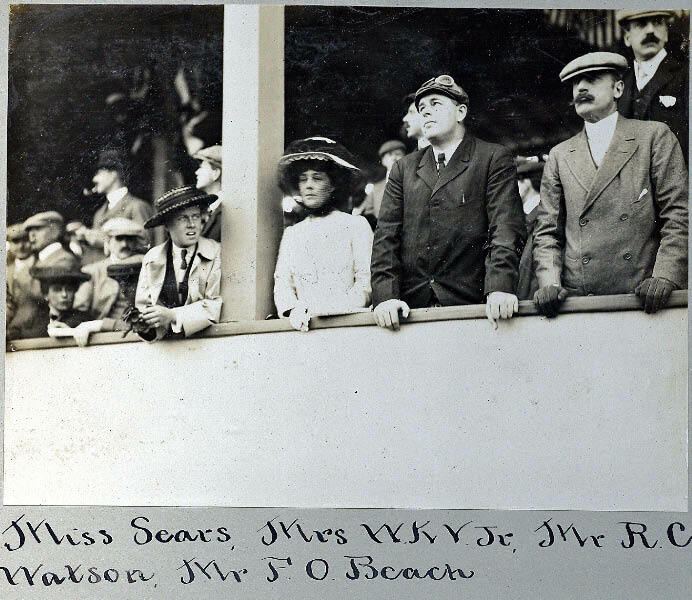 Until her divorce was finalized in 1927, she continued to use the name Mrs. William K. Vanderbilt Jr. The car is a 1909 Detroit electric brougham. The woman could very well be the Duchess of Marlborough, better known as Consuela Vanderbilt, William K.‘s sister. Probably already in 1902 (on her 25th birthday?) she received an electric car, a Columbia Mark XXXI Elberon victoria, as a present from her mother Alva Vanderbilt-Belmont. 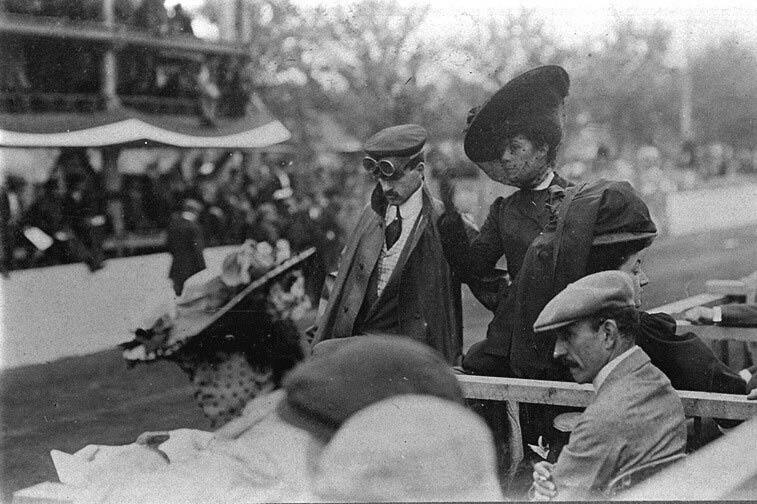 She separated from her husband in 1906 (though the divorce came only in 1921), which may explain her being on her own in this characteristic women’s car. The car would appear to be a 1909 Baker electric. 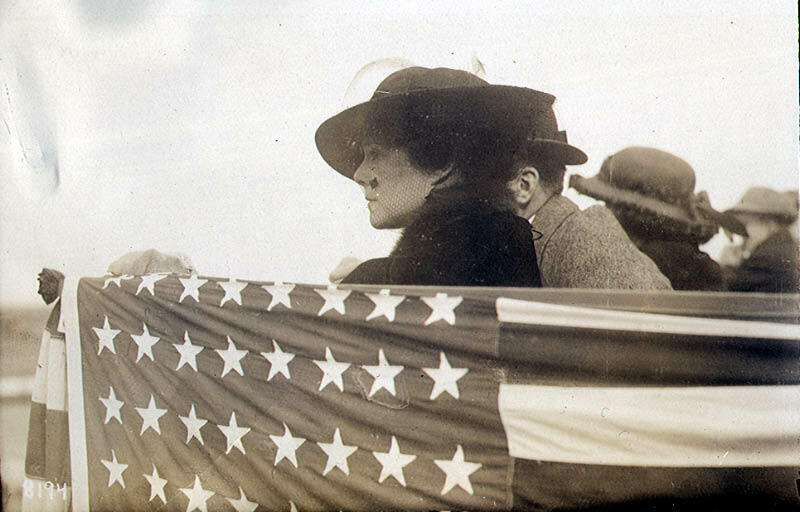 My guess on the woman in the photo would be Clara Ford, Henry Ford’s wife, since it was known she had a Baker. Henry Ford was on the board for the Motor Parkway. 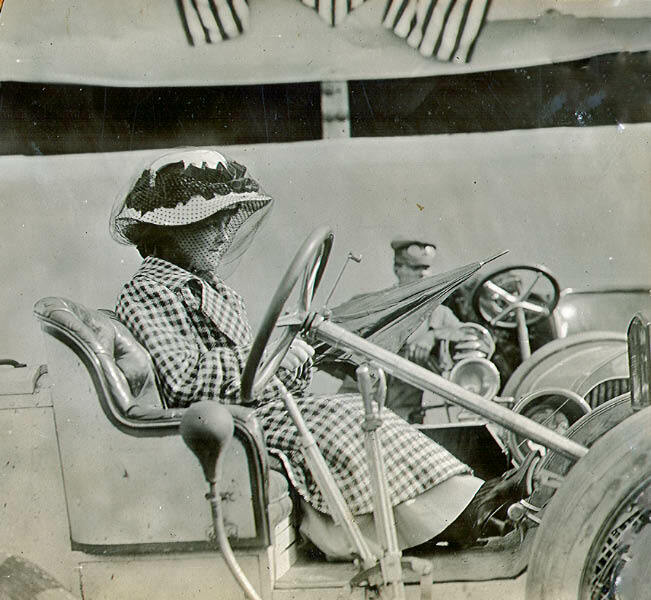 Could that be Consuelo Vanderbilt, Willie K. Jr.‘s sister, sitting in a 1909 Baker Electric? 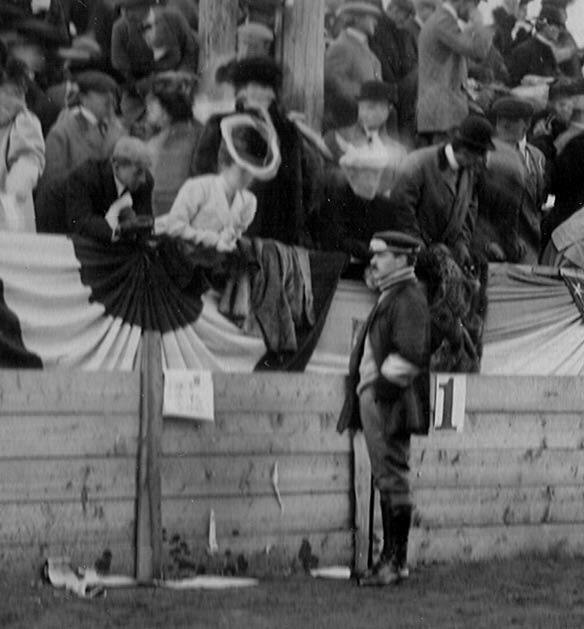 I’m not sure if you allow 2 guesses but I think the young lady might really be Elsie Janis, who starred in the 1906 Broadway production of “The Vanderbilt Cup”. I still believe the car is a 1909 Baker Electric. “An easy one this time! The beautiful lady is Mrs. W.K. Vanderbilt, wife of the Commodore William K. Vanderbilt. The automobile she’s driving is a 1910 Detroit Electric. I really must share my doubts about the solution of this quiz, regarding the lady as well as the dating of the car. As I understand now, this photo was published before in the book “Esquire’s American Autos and their makers” by David Wilkie (1963) with this info, and maybe elsewhere. Regarding the Detroit electric: in 1909 the side lights had the curved support like on the mystery photo, in 1910 the side light supports were straight. The 1910 Detroit from the Bonham’s auction isn’t a very good example, because the side lights of this car are in my opinion not the original ones and seem to be added later (although they have the straight supports!). Regarding the lady: of course I studied the facial features of both Virginia Fair and Consuelo Vanderbilt. My conclusion was that the lady cannot be Virginia Fair: she has a more elongated face with rather prononced cheek bones, whereas the lady on the mystery photo has a more rounded face. 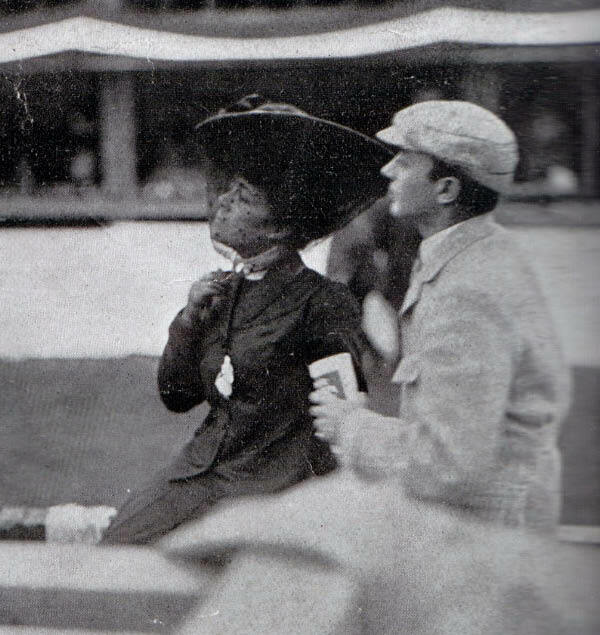 And than there is the attitude: I cannot believe that the always rather reserved looking Virginia Fair would be photographed in this pose at a racing track this short after her divorce. But I could easily believe this in the case of Consuelo Vanderbilt! Fascinating Howard. With Consuelo in mind, Ariejan may have a point about Virginia Fair. I too can’t envision Virginia ever actually smiling in Vanderbilt’s public domain, especially during a turbulent marriage. It’s also possible it could have been a rare moment at a rare point in time. Definitely worth more fun research. I believe the original caption was from the National Automotive History Collection at the Detroit Public Library. I can confirm that the car is entirely consistent with a model D Detroit, and not with a Baker. All enclosed Detroits have the doors hinged at the front. Most, if not all, Bakers hinged their doors at the rear, as was traditional with many Ohio coach builders. The Detroit Electric auctioned by Bonham was a 1910 model D, serial number 1886, which was shipped from the Anderson factory February 17, 1910.